We ate breakfast at home this morning because Juan, my neighbor talked me into helping him buy a different pickup truck and the man that owned it was bringing it to his house this morning. I don’t like making a habit of giving or loaning money to my neighbors but without a truck Juan cannot feed his family. Unfortunately here in Guatemala used trucks sell for a lot of money no matter what kind of shape they are in. 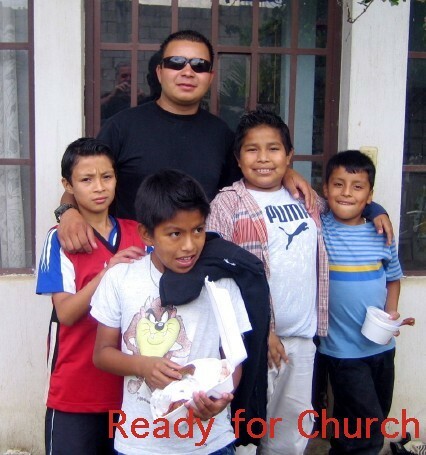 Once Juan bought the truck 6 kids and myself headed off to church. 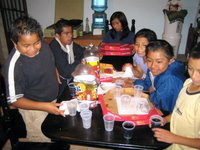 They had a Pizza and Chicken feed after church for all those that were in anyway involved in Sunday school. I was not going to stay for it but was told that I had to stay for an award. It was a certificate for being the family with the most kids. I was glad that they didn’t ask for any birth certificates or adoption papers. I think that next time they invite my crew to stay they will likely bring more Chicken and pizza though. Of course I doubt that they figured on my kids taking enough food home with them to feed their families for a week. I guess 6 kids is not enough because mine insisted on going to the orphanage after church? Even though it was early afternoon all but a handful of the kids were in bed for the day. Alex was the first one that I took out of his crib. He was already soaking wet. I can’t imagine what he will be like when they take him out of his crib after being in there another 17 hours. If he was not sleeping there is a chance that he got changed at around 5 PM but no guarantees. Byron was still up but his power wheelchair was nowhere to be found. I finally found it in a storage area. When I asked why he was not in it I was told that it quit running a day or 2 ago. Strange thing though it sprang to life for me when I turned on the switch. Tomorrow I am going to once again take his manual chair to our shop. One of the rubber grips on the handle that you push it with appears to be a bit loose. 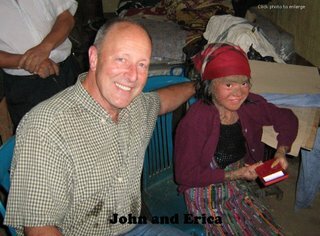 I am going to ask our mechanics to try and fix it as slowly as possible and then put it into storage until I remember to bring it back to the orphanage. With my memory, that could take forever. Poor Byron, it looks like he will be stuck with nothing but a power wheelchair for quite some time. We can only hope so. I discovered that one of the girls that does the house keeping at the orphanage speaks Ketichecal (Spelling). 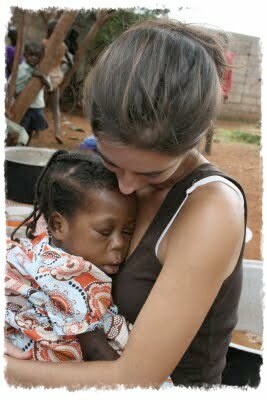 With her help and Calin’s I had a good talk with Minor, the older of the 2 brothers that just came to the orphanage. He has been trying to tell the nurses when he needs to use the bathroom but the housekeeper told me that either they do not understand or don’t want to bother with taking him to the restroom when he asks and keep him in diapers instead. While we were talking he told me that he needed the bathroom and I understood exactly what he was talking about. Perhaps it is English that he is speaking. Any way I took him and if no one listens to him the next time he asks they may be in for a surprise. I some how forgot to diaper him when I dressed him. Jason and Michelle asked me if they could go up to the malnutrition ward and see the babies. When we got there I discovered that Antonio’s father had come for him and taken him home. I know that it was going to be any day now but was hoping that he could stay a bit longer. This11 year old boy has nearly doubled his weight since he came into the orphanage less than a year ago but you have to remember that he weighed only 21 pounds when we brought him in. I am going to see if Julia and her husband will hike me into where he lives this coming weekend. Julia is the teacher from Rabinal that first discovered Antonio after taking a dirt bike in for over 2 and a half hours and then hiking for another 2 hours. Since it is now the rainy season our walk could be much longer than that. I want to get back in there though because we have been told that there are around 1000 people there and many of the kids are starving. On this first trip in I want to take a water filter, vitamins, worm medication, and some asthma medicine for Antonio. Hopefully once we see what the needs are we can get other organizations involved. I have already been in touch with a clinic that can provide more medicine and a friend of mine who can likely supply more water filters. The first time it is best though not to go in with more than one or 2 Americans. It seems that just lately the belief that Americans are coming in to kidnap Guatemalan children has once again sprung up. This has even happened in places where Chris and I have been in with in the past few months. Please pray not only for our safety but that the people there will trust us enough that they will be willing to receive any help that we can offer. 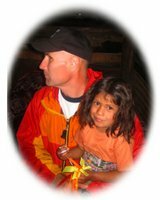 One big plus is that Andréa’s family lives there and they know that Andrais would not be alive today if he had not come with us to Hermano Pedro. Tonight the kids that had come along to church were still munching on the pizza and chicken that they took home with them from Church. Those that had not come along to church settled for cold cereal and sandwiches. I managed to buy some groceries this evening so the meals should once again be improving. At least tomorrow night they will have a choice of what kind of cereal they want for dinner. Well it is once again almost midnight so I think that I well head off to bed. I finally discovered a way to get my work done with out any kids ringing the doorbell. I am hiding out at the wheelchair shop. I feel a bit guilty not being at home to make supper for the kids but I am sure that they will still be waiting at the gate when I get there. Especially considering that they saw me come home with a carload of groceries last night. This morning Calin and Alex came with me to Hermano Pedro. Would you believe no school again? This happened both Monday and Friday of last week as well. That makes it 3 days off and 3 on in the past 6 school days, and it is only Monday. I got a bit of wheelchair work done at the orphanage while Calin and Alex played with the kids. Our stay was a short one though. I stopped off at the wheelchair shop on my way out of town and was met by a family who had been unable to show up at our last wheelchair distribution. 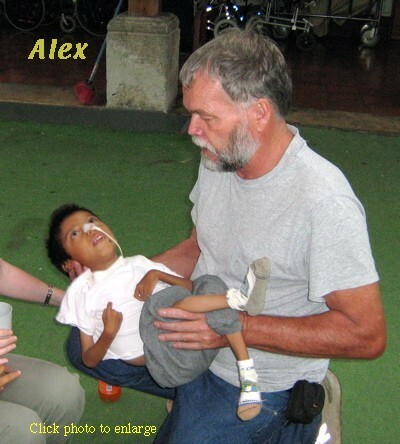 Their little boy needed a specialty wheelchair so I fit him before going to Antigua. I always know that they are fit well when they come to us crying and go home fast asleep in their new wheelchairs. We stayed a few hours at the orphanage but then I had to get back to Chemaltenango. Chris and I had been invited to have lunch at Candy’s home. She wanted to thank us for her new power wheelchair. She has been through some rough times lately but continues to try to improve her life. She is now working on being a travel agent of sorts right from her home. We are going to try to help her find the necessary things that are needed to make this work for her. We have received some great news about Erica. Her parents called and told Chris that the lactate Cream that we brought her a few weeks ago is doing wonders for her skin condition. Thanks to a good friend at present we have about a half-year supply on hand for her but are looking for some place where we can get it for a better price. It is presently costing $6 per 140 g tube. She uses 1 tube every 2 days. 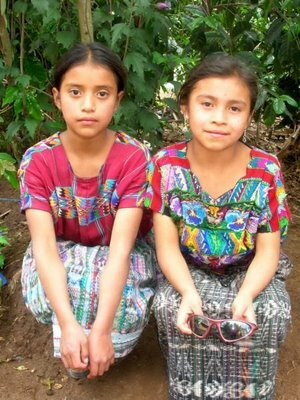 I will be checking with the drugstores here in Guatemala but if anyone knows of any other recourses please let me know. Well I guess that I have hid out long enough so I well head for home. Chris and some of the crew from the shop headed out to Rabinal today. 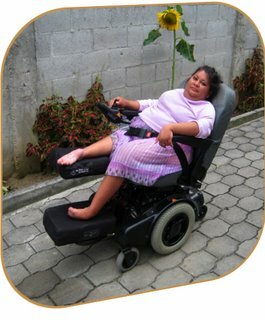 Due to heavy rains about 25 people were unable to make it out to the last wheelchair distribution that we had there. Hopefully they will be able to make it in tomorrow. I seldom miss distributions but had made a previous commitment of taking about 15 people through Hermano Pedro orphanage today and tomorrow. When it is a group that is as enthusiastic as this one I do not consider it a commitment though, it is a privilege. Andrew Scott and the group that the brought with him, showed nothing but love for the kids at the orphanage. After showing everyone around and getting them acquainted with the kids half of us took 8 of the kids out to Camperos while the other half stayed at the orphanage and helped feed the kids that were there. Tomorrow we plan on doing a reversal with the other half of their team and totally different kids. Not that I need to get fattened up but I will be the only one doing a repeat performance to Camperos. I am considering ordering a salad tomorrow but will likely change my mind once I open up the menu and see the pictures of the fried chicken and French fries. Fattening or not we all had a great time and none of the kids threw up today. This afternoon I met with Jessica to see what could be done about the nurses refusing to take Minor to the rest room. The nurses told her that they did not understand Ketichell (spelling) so they had no choice but to diaper Minor instead of taking him to the bathroom. I stepped in and said that even though they had been unable to learn any Ketichell, Minor had learned Spanish and twice today had asked me to take him to the rest room. From the reaction that Jessica gave when she heard this I have a feeling the nurses will suddenly start understanding Minor a bit better. It is nice to win a battle every once in a while. Orphanage # 2 was waiting for me when I got home tonight. I first told the kids at the gate that I had to do a few hours work and would let them in after that was done but six or seven kids giving you that puppy dog look is more than I can take. I have already warned them though that tomorrow night is a work night for me so they better fill up on fun and food tonight. Now if only I can figure out a way of getting into my house tomorrow night with out looking any of them in the eyes I can perhaps stick to my word. They were all great about helping with chores though and we actually got a lot of yard work done before supper. Calin has been a bit down lately and I sense that he wants to talk about a few things so he is staying the night. It was as I thought. Some of the kids have been teasing Calin about how heavy he is. He is such a neat kid but like so many that only hear negative from their families his self-esteem is easily crushed. I did not try to convince him that he is not overwheght but dwelt on all of the things that he has accomplished over the years that I have known him. We did not get into any discussion about him once being the neighborhood thief but I commended him on his honesty and how proud I was of the way that he took care of my place for me the last time that I went back to the states. I told him that there were very few people that I would ever give the key to my house to. We also talked about how he had gone from never being in school to being one of the top students in his class. 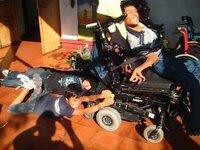 He asked me if I still thought that we could give him some work at the wheelchair shop during school vacation. I told him that we were counting on him. Calin told me that after buying school clothing he was going to give what ever he earned to his mother. I am sure that he meant it. When he walked out of the door this morning he walked with his head held high. Today he is going to ask his teacher if he can take tomorrow off from school to come along with me into a few villages to be my interpreter. I figure it won’t hurt for him to miss just one day. Besides that there is always about a 50 50 chance that there will be no school anyway. We had another good day at the orphanage and group # 2 did just as well as group #1 did at Camperos. Thanks to the group that came in during the last 2 days 16 kids had the time of their lives and 15 adults had an experience of a lifetime. Chris called me this evening. He had talked to the teacher in Rabinal and her and her husband cannot get free to go in to where Antonio lives. It is perhaps for the best because this Friday Chris and Donna are heading for the States for a few weeks. I will really miss them but the have to do some business there and also plan on seeing their new granddaughter. When I got home tonight only a small hand full of kids were at the gate but only to ask if I still intended to work tonight. They were pretty good about it when I said yes and even the puppy dog looks were not as sad as last nights. I guess that not everyone got the message though because in the past few hours the doorbell has rung no less than 8 times. Fortunately though it is dark outside so I do not have to look the kids in the eyes when I go out and tell them that I have not gotten caught up on answering e-mails and writing in my journal yet. Well once again bedtime has snuck up on me. Calin got permission from both his teacher and his mom to come along with me today. We went into Antigua and picked up 4 of the people that I had been showing around the orphanage for the past few days and headed off towards Ronny’s place. He had called me a few days ago and told me that his teacher wanted to see me. Since I had to return Erma’s sowing machine to her I decided to make a day of it. This would also give my 4 friends who had not seen much of Guatemala other than Guatemala City and Antigua a real opportunity to see what most of Guatemala is really like. About an hour out of Antigua my car started heating up so we pulled and discovered that my alternator had loosened up and when the one of the belts came off it ate up the other 2 as well. Fortunately I have learned over the years that spare belts are something that you carry and about an hour late we were once again on our way. I was none to clean but stopped at a restaurant about 15 minutes down the road and bathed in their sink. We still managed to make it to Ronny’s home shortly after 11:00, which was a good thing because his school gets out at 12:00. His father took us down the trail that led to his school that was only about a half mile away. Ronny’s father told us that Ronny usually takes his power wheelchair to school but a section of the trail had been washed away and there was a narrow spot where Ronny was afraid that he might go over the edge. Ronny’s father was going to do some work on it though and told us that by tomorrow his son would once again be able to take his power chair to school. As we were going down the trail we were met by Ronny’s mother, who gave each of us a warm greeting. She turned around and joined us. When we reached the school we were surprised by its size. 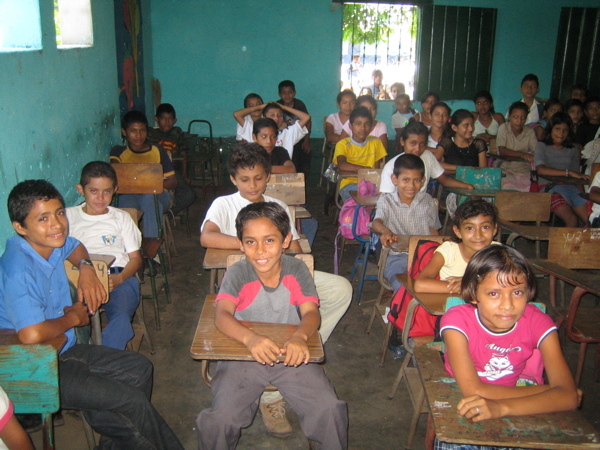 It was nothing fancy but there were several classrooms and each small room had 40 or more students in it. Ronny’s mom walked straight into Ronny’s classroom and motioned for all of us to follow. We were greeted by a friendly hello from all of the 43 students that were crowded into the tiny classroom. Ronny’s teacher quickly motioned for us to come to the front of the classroom. With the help of Calin and one of the ladies in our group that know some Spanish we had a good visit with the teacher, Ronny, and the other students. I later found out that this important meeting with the teacher was nothing more than Ronny wanting me to meat his teacher and to see his school but I was glad that we had come. In a culture where handicapped are still looked down on and are often not even allowed into schools this wonderful teacher has not only excepted Ronny but her positive attitude has radiated to the kids in her class room and the entire school in such a way that Ronny is not only excepted but genuinely loved by his class mates and the other teachers in his school. We had a great time getting to know several of the kids and the magic rings that I had taken with me were a big success. By the time I was asked to do a repeat performance there were as many students and teachers leaning in the windows as there were in the classroom. When school was over we walked back to Ronny’s home with him and his family, but not until I was asked to do a few more magic trick for all of the students that had gathered in front of the school. I must admit though that I feel sorry for one little boy. His classmates are likely still looking for more coins in his ears. The kids and adults always love seeing the magic tricks but in places like this where there is still a lot of witchcraft I am always careful to tell my audience that there is no magic involved but they are only tricks that I am doing. Generally I reveal the secret to at least one or 2 of them so that they understand the difference. Upon reaching the first sizeable town we stopped of for some lunch. Calin and I had tried to convince our crew to stop of and get some deep fried chicken at a roadside stand that I have often eaten at but they were afraid that the oil that the chicken was being fried in had not been changed in the past 3000 miles. I don’t think that I would have recommended that they eat there anyway because it takes a few years to build up immunity to some of the food here. Of coarse eating my own cooking helps to further build up any immunity. I should possibly entitle the rest of today’s journal, NINEVEH or possibly JONAH’S CLONE. Even though I had Erma’s repaired sowing machine in my car I was not all that eager to go and see her. Our visit with Ronny and his family had been such a positive one that I feared that visiting Erma may be a real let down. When we visited with her only a few weeks ago she was so depressed that it seemed to rub off on us for a few hours. Lately she has been calling Carlos and he even told me that her calls get to him in such a way that some times he refuses to answer his telephone fearing that it might be her. Both Carlos and I have feared that perhaps she was getting addicted to prescription drugs and spending what little money she had on them instead of on food for her family. I knew that she had to be confronted about this but I did not want to be the one that confronted her. During lunch I told the group about the backcountry road that led past Ronny’s old house. If we were to go that way it would be much more scenic. I was sure that they would love going that way instead of the way that we had come. Unfortunately that would mean that Erma would have to wait for her sowing machine until another day but then those thing can’t always be helped. I am not sure whom I was trying to convince, the five people that were with me, or myself but it worked. I must admit that I took a look back over my shoulder when we left the restaurant and felt a little twinge of guilt for not bringing the sowing machine to her, but then perhaps I could get Carlos to bring it to her this weekend. About 45 minutes up the dirt road that led away from Erma’s house and towards home we came up on 2 cars and 3 busses that were blocking the narrow road. This was unusual because that is about all of the traffic that uses this road in a single day. We soon found out that a buss had broken its driveline earlier in the day and the road was to narrow for traffic to get by. He had broken down in a portion of the road that was so rugged that there was no way that anyone could toe him out. People from some of the busses were digging at the side of the bank trying to widen the road enough for traffic to get by so I decided to wait for a while. If I turned around it would mean that I would have to stop off at Erma’s house. Finally the road was widened and buss # 2 tried to squeeze by buss # 1. I guess no one had a measuring tape when they widened the road. We now had 2 busses stuck side by side. It still took me another half hour to admit defeat but when a thunderstorm moved in I decided that it was turn back towards Erma’s house or spend the night. As it was it was hard enough to get turned around and then get past the trucks and the busses that had come in behind us but we made it. About an hour and a half later we were pulling into Erma’s road. Erma seemed to be in a better mood than last time but as we were visiting she asked if I could drive her into the nearest town that was about 20 minutes from where she lived. She also asked if I would help her pay for some medicine that a drug store was holding for her. Carlos had already told me that she had been getting some type of injection that was suppose to be helping her with a her stiff neck. Once we started talking though she confided that her neck was not all that bad but if she did not get these shots she would get the shakes. With the help of a sympathetic interpreter we shared with her that we truly loved her and that was why we were not willing to help her get these drugs. We talked for quite some time and I told her that I wanted to see her well but felt that many of the pills and shots that she was taking were not helping her at all. To my surprise she agreed with us and also agreed to my setting up an appointment for her with a real doctor at Hermano Pedro. Please pray that this will be a step in the right direction for her. We asked her if we could pray for her and she said that she would like that but wanted to share something else with us before we prayed. She has received word that some men that live in that area may be thinking about kidnapping her daughter Rosario and forcing her into prostitution. Please pray for Rosario’s safety as well. We left saddened by the situation but were all happy that we had stopped and at least given a ray of hope. I got a call at around 9 AM asking if I was willing to take another group of people through the orphanage. I am beginning to feel like a tour guide at time but if it makes even a hand full of people aware of the needs that are there it is well worth it. 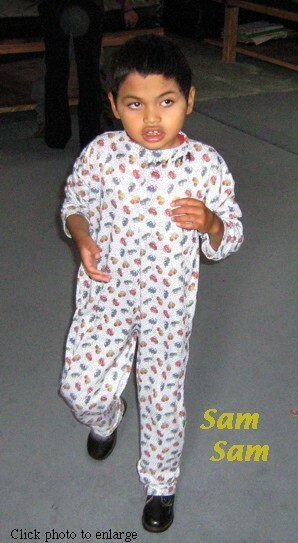 No matter what parts of the orphanage I take people through I always try to end up at Sam Sam’s crib. As we walk up to his crib he is always rocking back and forth or slamming his head on the steal bars of his crib. I am always asked if he that is all he ever does. I tell those that I am showing around that Sam is labeled as autistic and autistic kids are in their own little world and do not want to relate to people or be held. I then lower the sides of his crib and hold out my hands. The results are always the same. Sam Sam reaches out to me and I hold him for a while explaining that the reason that he is kept in his crib is that he hates being tied into his wheelchair and that he can open the latch of the gate that leads into the area where he stays. I then lower him to the ground and show people that Sam is perfectly able to walk. The next question that I am asked is always the same. “But if he can walk why is he locked in his crib all day?” Some day I hope to have an answer for that question. As we walk away there is always at least one person in tears, me. It seems that the needs are sometimes endless. Within a span of less than an hour 2 beggars approached me, one of the nuns at the orphanage told me about someone that desperately needs schooling, and a lady told me about 2 kids who can not walk but have never owned wheelchair. I feel bad that we cannot help everyone but am happy that God gives us the opportunity to at least help some. Every night there are a lot of people going to bed hungry all over the world. Tonight I made sure that the 8 kids that left my house did not. 1 Keep on loving each other as brothers and sisters. 2 Don’t forget to show hospitality to strangers, for some who have done this have entertained angels without realizing it! So far it has been an extremely unusual day. NOT NEARLY AS MANY UNUSUAL THINGS HAVE HAPPENED AS USUALLY DO IN ONE DAY. Six kids showed up for breakfast. Nothing was spilled on the table or the floor. COME TO THINK OF IT THAT IS UNUSUAL. I went to town to pick up some new fan belts for the car. They had the belts that I needed in Stock. NOW I HAVE TO ADMIT THAT WAS A BIT UNUSUAL. I also tried to pay my electric, telephone, and water bills. All 3 of the places were closed. NOTHING UNUSUAL ABOUT THAT. It is only 2:40 PM and all of the kids say that they are hungry. TOTALLY USUAL. (By the way the other 5 showed up 10 minutes later. That was about the time that I was done re mopping behind the first 5. I think that I will wait until the third mopping until tonight when they all go home. Well I think that I will kick back and watch Shrek 1, 2, and 3, with the kids. I bought all 3 for only 20Q (about $2.60). Normal you would have to pay up to $3 for 3 videos. NOTHING UNUSUAL HERE. The man that sold me the videos knows that I am Dutch. Labels: Fernando and Moises on a hill over looking Antigua Guatemala. Rule # 174 – Never work on your journals for more than 2 hours without hitting the save button at least once. Rule # 175 - Never hit the delete button when you have your entire journal highlighted, especially if you have failed to do rule # 174. Rule # 176 - If you unintentionally hit the delete button make sure that none of the kids in your house trip over and disconnects the power cord of your computer before you get the chance to hit the undo button. NO, this is not Tuesday’s Journal; it is my second attempt at writing Sunday’s journal. Five of the kids came along to church today. After a fantastic service we went to Hermano Pedro and played with the kids there for a while. We then went to eat at Martha’s Café. All 6 of us filled up on chicken, steak, potatoes, rice, vegetables, and a lot of other good things. My total bill was under $20. I’m sure that I did a lot of other things on Sunday but unfortunately my brain has not retained them any better then my hard drive. Since this was only yesterday I can perhaps recall the happenings of the day a bit better than Sunday’s. I picked up Mike at his hotel and the 2 of us headed off to Hermano Pedro. (Oh now I remember! Sunday Calin, Abner, and I went in to Guatemala City and picked up my friend Mike from the airport. Oh well back to Monday.) Anyway he came along with me to Hermano Pedro. There we met up with a brother and sister who are here from the States. They were more than eager to join us in taking 4 of the orphanage kids out to lunch. As usual we took Moises and Byron, but also took the 2 new brothers, Minor and Elmer. Let me tell you these are 4 sharp kids. They had the time of their lives at Camperos. 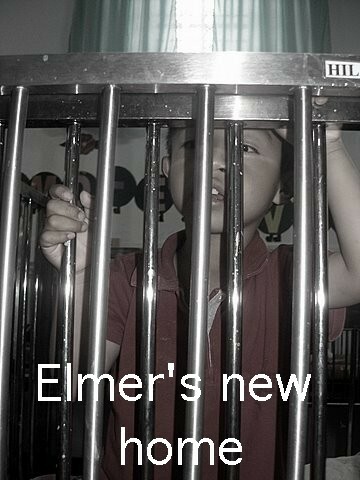 I don’t think that Elmer nor Minor had ever been in a restaurant before but they loved it. Even Byron who is a fussy eater finished off all of his food. I think that Minor ate a bit to fast though, or perhaps it was the flan that he had for desert, because he upchucked his entire lunch all over himself just as we were finishing up. Fortunately the nurses had used a large bed sheet to tie him into his chair with. Minor does not have to be tied into his chair but the sheet worked great as a giant washcloth and we had him cleaned up in no time. No, the sheet did not go back to Hermano Pedro with us. After we got Minor cleaned up we took the kids on to the playground equipment. Other than Elmer’s pants falling off every time one of us carried him up the ladder to the slide everything went quite smoothly. When we finally got back to the orphanage the nurses put the kids back inot thier beds while I took my friends around to see the other sections of the orphanage. It was rather late when we finally got home but the kids from orphanage #2 were eagerly waiting. It is a bit late but I really want to get at least one of these written on the day that it happened. Today was a great day though so I don’t think that I would forget it too soon. Carlos drove up from Antigua and left his car at my house. He, Mike and myself then headed out to San Pablo Laguna. This is a small Mayan town that is about 2 ½ hours from here. I had gone here for my first time about a month ago with my friend Paul. 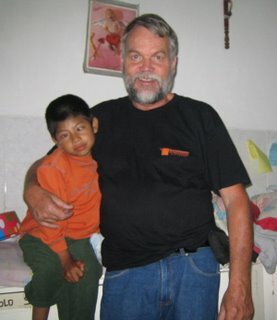 Paul had been helping a native pastor there in building a house for a widow lady and her children. Paul had to return to the States for a few months but had left his tools with the Pastor. I had promised that I would pick them up and keep them at my house once Pastor Anton had finished the work on the house. I had wanted to see Pastor Anton again anyway because I had left some blank wheelchair forums with him the last time that I was there. At that time he had introduced me to several people that needed wheelchairs and assured me that he could find more. Today he told me of a 17-year-old girl who had spinal bifida. She was a beautiful young lady who was in her senior year of high school. Not only was I surprised to here that since she was in a wheelchair she was in school but Anton also told me that she had been voted high school queen. It was 1:05 pm when we reached her home. We feared that we had missed her because she goes to school from 1 PM until 6 PM. Fortunately she was still at home. She was sitting in an old rusty wheelchair that was totally worn out. This beautiful young lady shared with us that tomorrow was the big calibration when she was to be crowned as high school queen. She said that she had been praying for a new wheelchair because she was worried that the one that she was in would break at any time. Looking at it I thought to myself that it’s time had already come. I told her that I would measure her and see what we could do about getting her a wheelchair in the near future. That is when Carlos asked me if the Chair that was in the back of my car would work for her. “What chair?” I asked. “The one that is in the back of your car.” Carlos repeated. I guess forgetfulness has its blessings. Yesterday I had picked up 2 wheelchairs at our shop. I had promised Edger, one of the teens at Hermano Pedro, a new wheelchair. I had decided that the other wheelchair of the 2 would be the right wheelchair for him and put this one back into my car. Since I needed room in my car for Paul’s tools I had full intentions of dropping this chair off at the shop this morning. Why then was it still in my car? Like I said forgetfulness has some advantages. Why I had ever considered this particular chair for the boy at Hermano Pedro remains another mystery. It was bright purple! Not exactly a macho color for a teen-age boy. However it was the perfect color for a teen-age girl who was wearing a purple sweater that matched the wheelchair perfectly. All she could say was that she had been praying for this chair and now her prayers had been answered. She and her family tried to thank us but we explained to her that the wheelchair that she had been praying for was truly a gift from God and we had simply been the delivery boys. By the way the wheelchair was not only her favorite color but it fit her perfectly. We didn’t have to adjust one thing on it. It was as though this chair had been made special just for this young lady. Then again perhaps it had been. Tomorrow she will be able to go to her coronation ceremony in stile. In the short time that I met her I have no doubt that she will share with her classmates and their parents how God answered her prayers. I was tired when I got home tonight but there was no way that I was going to lock the kids out. Today was report card day and Mike had supplied me with a new supply of stuffed animals and various toys. I sorted out the toys into 2 piles. One pile had the more expensive toys like harmonicas, dolls, baseballs, and larger stuffed animals in it. The other had some of the smaller toys and stuffed animals in it. Every 100 on a report card was a big toy. Every grade above a 90 was a small toy. No marks below 80 another big toy, and no marks below 70 another small toy. Almost all of the kids went home with something. Alex was the only one that went home empty handed but he still has not received a grade for PE. I am considering a point system for most improvement next time report cards are given out but don’t feel to badly for Alex because he is capable of doing much better but has not been trying to hard in School. Thankfully he has quit working at the car wash and will now have more time for his studies. So far Calin is in the lead with 3 large toys and 1 small one. A few of the kids have not yet received their report cards but I am sure that they will be at my door as soon as they get them. Well it is one minute before midnight so I guess that is all that I can write about today’s happenings. Good night, Whoops I mean; Good morning. I got a bit of a late start this morning but Mike and I managed to pick up Paul a young man that has been volunteering at Hermano Pedro and make it up to the School in Santa Maria Dejesus by around 11:00 AM. 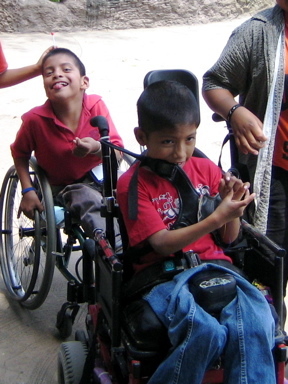 Amy Deyoung had called me and told me that a few of the kids there needed some repairs done on their wheelchairs. While I repaired the wheelchairs Mat and Paul toured the school. The kids were having so much fun helping us that it was hard to go home but at about 5:30 we finally said goodbye. I am not sure how the kids knew that it was pizza night but my house filled up with kids much faster than usual. The 4 large pizzas that we had ordered were soon nothing more than memories and empty pizza boxes. Before bringing Mike back to his hotel the kids that did not receive their report cards until today added up their grades and claimed their prizes. Calin’s record fell to Lady whose grades allowed her to claim 3 large and 3 medium presents. At around 8 I told the kids that I had to bring Mike to his hotel and that it was time for them to leave. I am not sure why but it seemed to take an extra long time to get the house cleared of kids tonight. They seem to be so at home here that they look at me like I am telling them to get out of their own house when ever I tell them that they have to leave. I wish that they would move a bit faster when it is time to go but I am glad that they feel so at home here. As I close the door I looked back at my refrigerator that is covered with father’s day cards and was reminded of just how blessed I am. 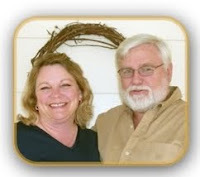 Tomorrow Mike and I plan on going to the home of Stephen and Sheryl Osborn. If you think that I am blessed you ain’t seen nothing. They have over 30 kids. Not bad, considering that 2 years ago they only had 2 kids. Well some how the day has once again ended all to soon so I well say goodnight. Mike and I got out of the shop at around 11:00 PM. We had intended on leaving earlier but I stayed for a while and helped make a back cushion for a boy whose parents had brought him in to receive a wheelchair. We had a few stops to make before heading to the city to see the Osborn’s. Our first stop was at the home of a teen-age boy who had been paralyzed in a diving accident a few years ago. We had given him a power wheelchair shortly after his accident but a few weeks ago the motors burnt out on it. The guys at the shop had given him a totally different wheelchair but it was extremely slow. Within 10 minutes I had it reprogrammed and we were on our way. Stephen and Sheryl Osborn were not at home when we arrived at their house but most of their 30 kids were there to greet us. No, at the Osborn’s they are not all locked up in cribs. Several ladies who help the Osborn’s with the children were caring for them. The atmosphere is 110 % more positive than what I often see at Hermano Pedro. All of the Osborn’s children seem happy and well adjusted. 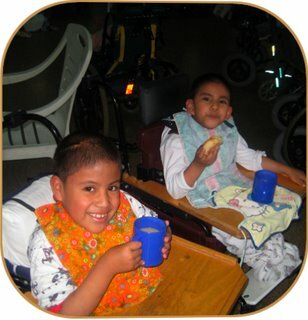 We got 2 of the children there seated in new wheelchairs and I plan on returning to their home soon to seat 2 more of them. 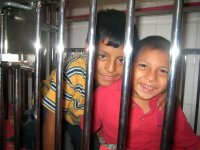 Even though the 2 homes that Steve and Sheryl have are filled to the brim I could not help but tell them about Elmer and Minor, the 2 new boys that are at Hermano Pedro. Why is it that those who are the busiest serving God are also the ones that we call on the most to help us out? After a great time with the Osborn kids Mike and I headed for home. On the way back we stopped in to see Candy. This is a lady that lives only a mile or 2 from my place. Four years ago we gave her a power wheelchair after her boyfriend put a gun in her mouth and pulled the trigger. He did this because she found out that he was married and told him that since she was a Christian she was no longer going to see him. The bullet blew out most of her teeth and exited out of the back of her neck leaving her paralyzed for life. This man never spent as much as a day in jail and is still a practicing lawyer in my town. Candy made a living by operating a small store but was recently robbed of all of her merchandise. When Mike and I went to see her we were told that since she owed money on the items that were taken from her store the man that she owed the money to has taken her power wheelchair away from her. Not only that but her Father has kicked her out of the family home and she is now living in some small rooms behind a house. You would think that Candy would be the bitterest person around but that is not the case. When you meat her you are immediately uplifted by her positive attitude. 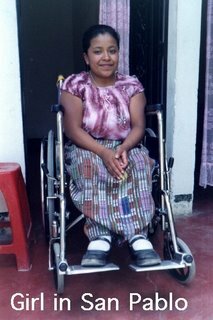 We promised Candy that we would repair the manual wheelchair that she was in but I was thinking Power wheelchair. Supper for the kids was a simple one. I will not even say what it was for fear that some of you health nuts will send me more nasty letters, but promise to try and do better tomorrow night. I love these kids every bit as much as the Osborn’s love theirs it’s just that Sheryl is a far better cook. Three of the kids are spending the nigh. I guess they know that I have stomach medicine. Any way if I don’t head off to bed soon I may be the one that ends up on the floor. So Goodnight. Today was stand in line day. This happens about once a month. This is when I try to pay bills and also withdraw money out of the bank. I will not bore you with the details of standing in line to pay bills because it would take me an hour to explain just what went on during those 2 hours of paying 2 bills. I will try to explain though just what you have to go through to withdraw a couple hundred dollars from your savings account here in Guatemala. 9:00 AM - Show up at the bank. 9:15 AM - Leave bank figuring that they are not going to open because it is likely one of about 100 holidays that only Guatemalan bank employs know about. 9:58 AM - Get bill (those of you that have eaten at Camperos will realize that waiting 12 minutes for your bill is nothing. 9:58:02 AM - Reach into your wallet and realize why you wanted to go to the bank before you ate. 10:18 - 10:23 AM - Try to explain to Fernando who had come along with you for the day because he once again had no school, that his life is not in danger. They only want him to stay there until I return with some money. 10:28 - 10: 31 AM - Explain to the guard outside of Camperos that there is no way that you can move your car because you have a kid inside that is being held for ransom and if you were to drive away the employees who are watching you from the window will get angry and Fernando will go hysterical. 10:38 AM - Get in line behind a lot of people. 10:41 AM - Move forward 2 feet. 10:45 AM - Move forward 2 feet. 11:17 PM (I mean AM it only seems like PM) Go get into another to get a new bankbooks. 11:21 AM - Move forward 2 feet. 11:39 AM - Moved forward far enough that I am now at the head of this line. 12:16 PM - I get to the tellers window. (Even being at the front of the line you still have to wait until the slow customer at the window leaves.) (The lady at the window then tells me that it is bank policy that the teller who gives me the withdrawal slip cannot be the one that gives me my money.) She smiles and points to line # 3 that leads to another teller’s window. 12:21 PM - I walk out of the bank with my money. (No I didn’t rob the place although the idea crossed my mind. I took the liberty of crashing line # 3 without asking anyone for permission.) By the looks that I got from the other customers, especially the other guy with the new bankbook who was still near the back of his line, I was glad that there were 3 armed guards in the bank. Rules # 177 - Never count your money while walking out of a bank. (Not only could there be some one watching you who wants to rob you but also if you don’t watch where you are going you are likely to walk right through some newly poured wet cement. 12:22 PM - Back at Camperos. (Unfortunately Camperos is just across the street from the bank.) (I had to walk around in circles for a while to get the wet cement off from the bottom of my shoes. 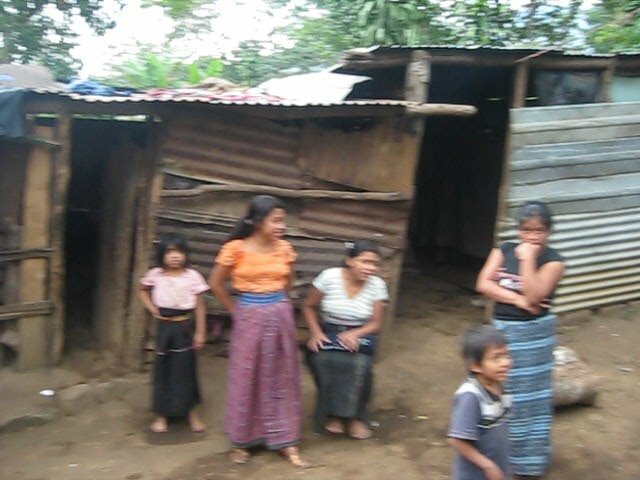 Just a few days ago a missionary friend of mine told me that when ever some one talked to him about coming to Guatemala as a missionary, the first question that he would ask them was “How good of a sense of humor to you have?” Perhaps it is not vital but it will help make it possible if you plan on staying here longer than a week. After lunch, not at Camperos! Mike, Fernando, and I headed to Candies place. She was not at home but we later found her and a girl that helps her about 6 blocks from her home. The girl had been pushing her down the bumpy road in her wheelchair but they had stopped to rest because the girl was getting tired. When I told her that we had a new power chair for her she could not believe us. Mike and Fernando quickly pushed her home while I delivered the chair there with my car. When we got to her house I called Chris and he explained to her that in order to keep the man that had taken her last wheelchair from taking this wheelchair away from her we were not giving her the chair but simply loaning it to her for the rest of her life. What a way to quickly forget about a not so smooth morning. Candy was in tears and we were not far from it. This evening I brought Mike into Guatemala City. He will be spending the next week with some friends who are flying in from the States. The plan on installing some hospital equipment in a clinic that is located near the El Selvidor border. Mike told me that if next week is half as good as this week was he would be thrilled. Most of my day has been spent in getting caught up with this journal. Some how I once again managed to get several days behind. Just think how long my journal would be if I had written everything down while it was fresh in my mind. Then again perhaps you would rather not think about that. The kids have been locked out for hours and are nearly going insane. I have tried doing my writing while they are in the house but that is not easy. It is easier for all of us if I can give this my full attention for a few hours and then give them my full attention for the remainder of the day. Selfishly these journals are not written solely for your entertainment. 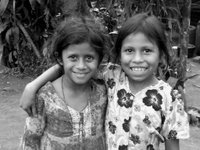 Although I want to inform as many people as possible as to what missionary life here in Guatemala is like I have many other reason for writing. I think that # one is for my own reflection what God is doing down here. As I reread each journal before sending it out (Hard to believe considering all of the spelling and grammar mistakes) I can see how God is answering and has answered so many prayers. This Journal also helps me to be accountable for what I am doing down here. I often get feed back from something that we are doing or have done and this is good. (I must admit though that I would love to hear from a lot more of you, even a sentence or 2 would be great.) Of coarse I always hope that these journals help stir up some one who the Lord is calling to get more involved in His work. There is also that prayer thing. With out it we would not be here. Please keep praying for those we serve and for us. Please remember if you are fully content with whom you are and what you are doing perhaps it is time to take a good look at your self. 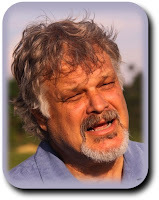 There are people physically and spiritually suffering and dying all over the world. If God has put you in a position where you can reach out to even one of them and you are not doing so something is wrong. Before reaching Hermano Pedro I had already decided that I was going to take Minor and Elmer, the 2 new boys out for lunch. Almost the minute that I arrived at the orphanage one of the newer nurses who seems to really care about the kids came up to me and said that Ervin was having a bad day. I figured that I could at least take a few minutes and check on him before signing the two new brothers out so I went in to see him. He seemed exceptionally cranky and I knew that if I took him out of his crib he would be all the worse when I put him back in bed so after talking to him for a bit I told him that I had to go. As I walked away his screaming got intense. Not liking it when he tries to manipulate people by screaming I walked all the faster. “There is no way that he is going to give me a guilt trip.” I thought. I have seen him do that before with many of the volunteers and unfortunately it often works. I think that is one of the reasons that he keeps doing it. 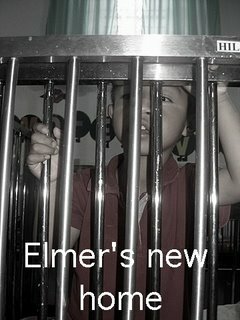 When I went to the room where Minor and Elmer were I found that there were some new volunteers visiting with them. They had right away noticed how cute they were and were giving them lots of attention. I could still here Ervin’s screaming coming from the other room. “If only Ervin could be more like these 2,” I thought to myself. “Perhaps then he would not be locked up in his crib.” All at once it hit me like a ton of bricks. “I wonder if God ever feels that way about me?” “What if he only showed his love to the lovely?” Minor and Elmer were having a great time with the other volunteers. Why should I disrupt that? Ervin was not a perfect angel when I took him out to lunch today but I still think that it was good for him to know that he was loved anyway. Perhaps tomorrow we will work on behavior management but I think that today he just had to be reassured that someone cares. John’s plain was right on schedule last night and we were in Chemaltenango by 9:30. I picked John up at about 8 AM this morning and we headed for Antigua. He seemed to really enjoy the kids at the orphanage and especially took to Sam Sam. As soon as I opened the bars on Sam’s crib and reached out to him he stopped banging his head on the rails of his crib and crawled to me. I picked him up and stood him on the floor by his crib. John looked at him n Amazement. “He can walk!” John exclaimed. “Yes,” I replied. “Then why is he locked up in his crib?” I get asked that question every few days. “I have been trying to figure that out for 6 years I said. 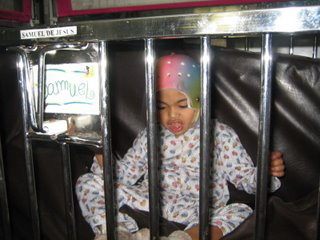 We played with Sam for a while but had other things that we had to do today so it was not long before Sam was once again back in his crib banging his head against the steal bars. It was fairly warm out so several of the kids had actually been placed on large mats out in the courtyard. My eyes quickly fell on Alex. They have finally put a feeding tube back into him. I am very worried about him though. His color is not looking good and he would not even smile when I said his name. This is extremely unusual for Alex. No matter how bad he is feeling he generally lights up like a Christmas tree. I have stated before that I have to be careful on which battles to pick a the orphanage but I think that I will once again see if they will consider putting Alex up in the malnutrition ward. After Lunch Chris, John, and I, headed towards Xela. 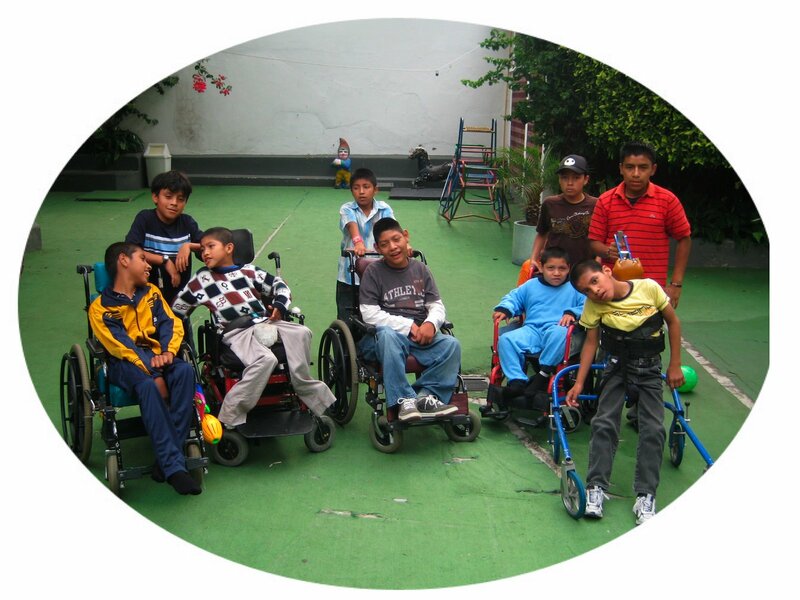 Tomorrow we plan on returning a repaired power wheelchair to a little boy at the orphanage here in Xela. We then plan on delivering a large supply of skin medicine to Erica. The treatment involves bathing her every 2 days and then applying the medicine to her entire body. We are praying that her mother is willing to take the time to do this. This is the same family that we have tried to get to bring Erica to a hospital in Guatemala City for well over a year now. I don’t think that it is a matter of not caring about their daughter. They are just so busy trying to provide for the rest of their family that they cannot take the time that is needed for Erica. Well it was a long drive with plenty of construction delays so I am going to close for now. 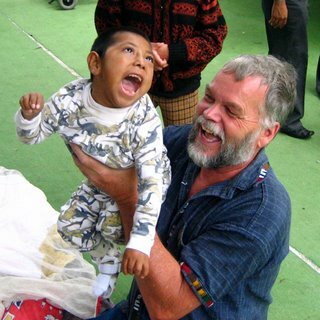 After breakfast we headed over to the orphanage in Xela. This is where Chris and the crew had spent a good part of last week repairing wheelchairs. 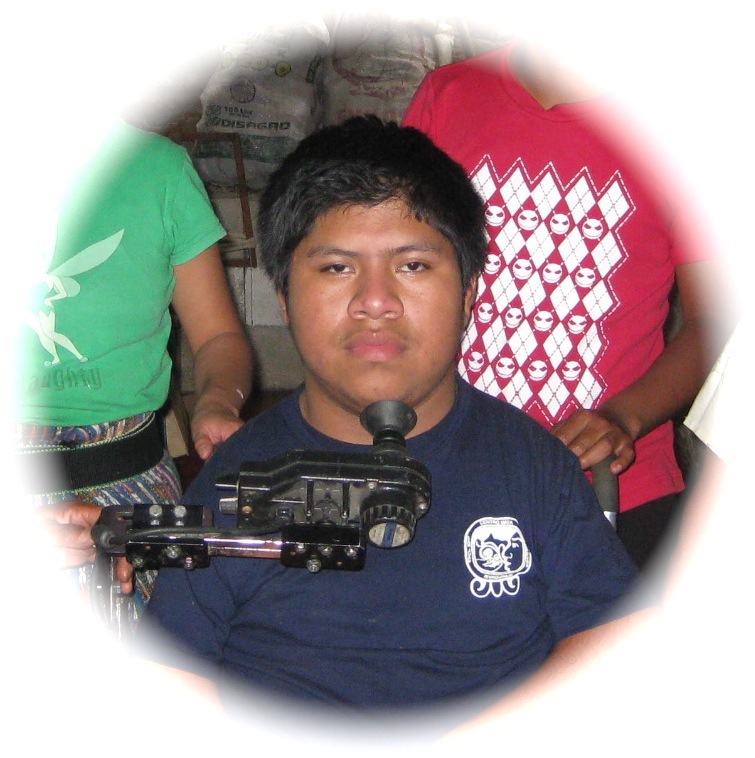 He had taken a power chair that belonged to one of the kids back to Chemaltenango for a new controller and knew that this boy was anxious to have his chair again. The second that we got things going he was off and running. We stuck around for a while so that John could meat the other children. It was also a treat for me because I had not seen any of them for several months. Next we headed for San Francisco. No not San Francisco California, San Francisco Guatemala. San Francisco is the town that both Christopher and Erica live near to. We had to walk about a mile into Erica’s place. Not much has changed since the large landslide that took place in that area nearly 2 years ago. There are still destroyed homes at the bottom of a cliff and other occupied ones that are hanging precariously at the edge of the cliff above. Even though the government has declared the area as unsafe most of the homes are still occupied. Most of the people have nowhere else to go. We stopped off first at Christopher’s home but discovered that he was in school. It was looking like rain was about to move in so we told his grandparents to tell him hello from us and moved on. We knew how slippery the dirt trail to Erica’s house would be once it got wet. It was already a challenge to keep from slipping and the packs of medicine that we had on our backs did not help for keeping our balance. I think that the dogs at Eric’s house are finally getting use of us. The last time that I was there I thought that we might end up as their dinner but this time we had to step over them as we entered the house. Erica, her mother and father, and about 4 of her 9 brothers and sisters were at home. We had a great visit with them and even stayed for lunch. Erica and her family listened intently as we explained the procedure for applying the medicine that John had brought from the USA. We had been a bit worried that the family would simply be to busy to want to take the time to do the fairly lengthy procedure once every other day. On the contrary though they were all excited about doing what they could to help Erica in any way possible. While we were visiting a thunderstorm moved in. We managed to make a hasty retreat back to my car before the rain turned into a downpour and were grateful that we had not stayed any longer. We were especially grateful for that while we were walking the narrow path that ran along the bottom of the cliff that somehow held the houses that were hanging over our heads. I have little doubt that a few good rains or an ever possible earthquake will send more home to the bottom of the cliff. Traffic delays on the way home were not as bad as they were on our trip down yesterday. I think that a few of the highway construction projects had possibley shut down for the day due to the heavy rains. We got stopped at a few places but were usually rolling again within 20 minutes. At one of these stops we commented on how they ever thought that the hillsides were going to hold since they had carved them out of what appeared to be little more than dirt to widen the road. Just as we once again started moving down a section of road that was rather bumpy, John who was sitting in the front passenger seat of my car noticed several small boulders break loose from the side of the hill. Fortunately the side of the hill was almost straight up and down so they landed flat and did not role into the car. We wondered why several of them broke loose at the same time but thought little more of it until Chris’s cell phone rang a few minutes later. It was Donna. She told him that Guatemala had just experienced a 6.8 earthquake. From what we later found out we were about the only ones in Guatemala that had not felt it. I guess riding down a bumpy road in a Toyota that has the suspension of an army tank is similar to a never-ending earthquake. Any earthquake that is over 6 is considered sever but fortunately this one was centered a little ways off shore and was about 70 miles deep. Phones are still out in some areas but as far as I have heard so far there has been very little serious damage and no lives have been lost. It made us wonder though if some of those homes that we had walked under less than an hour before were still standing. Well it is getting late and we have a big wheelchair distribution planned for tomorrow so I think that I will try to get some sleep. One thing that the earthquake had an effect on was the number of people that failed to show up for our wheelchair distribution this morning. I guess that I can’t much blame them though because there have been earthquakes here in the past that have devastated cities and towns. In 1976, right here in Chemaltenango, the town was nearly totally destroyed by an earthquake that killed about 60% of the people. The people here seem to get extra nervous when we have a few of them right in a row. Yesterdays quake had come only a few days after we experienced a smaller earthquake that was centralized in almost the same location. Over half of the people still managed to show up for the distribution though so we were kept busy until about noon. This was the first distribution that John had ever been to and he seemed to really enjoy it. He and I worked together and had a great time fitting a few kids into chairs that were perfect for them. I think that our favorite was the last little boy that we fitted. His father told us that he had no hand use and was quite insistent on us giving him a wheelchair that the child would never be able to reach the wheels of. I generally try to go with the wishes of the parents as much as possible but after running a few tests felt that this boy had some chance of learning to use his hands with a bit of practice. Both Chris and Donna felt the same about it and tried to convince the father that the chair that I wanted to put the boy in was the perfect chair even though it did not look quite as new or pretty as the one that the father had picked. John and I kept working on the chair that I had picked but I knew that unless the little boys father went along with it he would likely go home with out a chair then take this one. I finally told the father that I was going over to our shop next door to get some parts. I figured that this would perhaps give him a chance to think things over. It also gave me the time to say a prayer. We all wanted so badly for this family to be happy whith the chair that we gave them but we also wanted this boy to be able to have the opportunity to use his hands if at all possible. About 10 minutes later when I returned I saw the little boy’s father standing there with a big smile on his face looking at his son. His son was sitting in the wheelchair we had picked out for him. His hands were on the wheels and he was trying to push himself around. John told me that while I had been gone the little boys father had taken it upon himself to put his son in the chair and the second that he did his son reached down with his left hand and moved the chair forward. After making some more adjustments the family said good by. I am not sure who was happier, them or us. After lunch I went to Hermano Pedro. I wanted to have one more try at getting Alex moved into the malnutrition ward. I did not have do any arm twisting to get John to come along either. I think that he is also getting attached to these kids. He and Ervin really hit it off. I did what I could as far as Alex is concerned but kept getting the same answers. “We will move him if and when he gets worse.” I am not sure that he will make it if they allow him to get much worse. At least they have the feeding tube back in so his intake is at least getting monitored. Before heading home I took a few of the kids across the street for a coke. John and Ervin stayed behind. They were having too much fun playing with an old laundry cart. When we got to my place we did a bit of e-mailing and downloaded some pictures and then headed out to Comperos with the kids that were at my house. This morning John, Chris, Gordon, Fernando, (who once again had no school) and myself headed towards Ronny’s house. I had mentioned to John that there were to ways to Ronny’s house. One of the ways is paved and takes a little less than 2 hours. The other is dirt and takes about 3 hours in the best of conditions. Rainy season is not exactly the recipe for the best of conditions. However we voted on it and the vote was unanimous that we go the longer, bumpier, curvier, way. Oh did I mention that we had not picked up Chris and Gordon before taking the vote. They would be riding in the harder, bumpier, less comfortable, back seats. All I can say is the scenery was spectacular and no one did any complaining when they crawled from my car over 4 hours later. I may hear about it when they gain back their strength to talk though. Ronny and his family were glad to see us. After everyone visited for a bit Chris, Gordon, John, and Ronny’s father walked over to figure out where the house that a group from John’s church plans on building for the family will go. While they looked over the land I did some work on Ronny’s wheelchair. He now has 2 sets of batteries so that one set can be getting charged up from the solar cell while he is using the other set. Since there is more shade where they are now living the charge time has increased, but he should now be able to drive his chair continually. While working on Ronny’s chair his mother told me about a child whom she saw that lives across from the school that Ronny is now attending. She asked if she could bring him over to see if we could possibley give him a wheelchair. Naturally I said no and told her that we hated helping people that needed wheelchairs, especially kids. (Not really, I was just checking to see if you were awake.) 15 minutes later she was back with a boy of about 3 years old and his father. 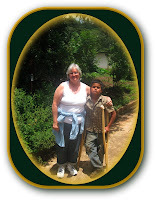 The little boy has spinal bifida and is unable to walk. He will need a carved backrest to accommodate a 4-inch protrusion that is located on the lower part of his back but we will soon bring a wheelchair to him. 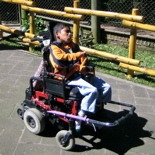 I am also going to show some pictures that I took of him to some of the doctors that come into Hermano Pedro. Generally an operation is preformed that can remove a great deal of the protrusion. Erma lives only a few miles from Ronny, as the crow flies. Unfortunately we could not find any crows that were willing to fly us there so we had to backtrack about 45 minutes to the north then drive a few miles east, and then once again return to the south for about 45 minutes. Oh for my airplane on days like this. Of course the lack of all but a few runways in the entire country would cause a bit of a problem. I wish that I could say that everyone at Erma’s house was as upbeat as most of the other families that we had visited this week. Erma and her 2 kids are having a rough time. Not just financially but emotionally. It seems at times like they have lost the desire to try. The water filter that we had brought them a few months ago was lying there dirty and unassembled. The new water pump that we had brought in had not been installed even though we had given Erma the money to have it installed. Erma told us that she had been making some money with the sowing machine that we had given her but it had quit working a few months ago. She had not even called us to see if we could get it repaired. It looks like she is going through some deep depression. To make things worse the attitudes of Rosario and Anderson did not seem much better then that of their mother. We are not about to let this family starve but unless they regain the willingness to learn how to make it on their own nothing will ever change. Please pray for them and for us so that we have the wisdom to know how to help them have the dignity to be willing to at least try to make it on their own. The Ericas and Ronnys of this world are so much easier to help than the Ermas of this world are. It was fairly late when we got back home. We were exhausted but over all it has been a great day. Today is Fidel’s birthday. His biggest wish was that he could once again have a birthday party at Chris and Donna’s house. We had one there for him 4 years ago and he had never forgotten it. He had a great time playing video games with Benjamin while the rest of us visited. Donna prepared a dinner for us that was followed by a cake and presents for Fidel. His 3-hour stay went all to fast for him. As we drove back towards the orphanage Fidel strained to get just one more look at the Mooney’s home. 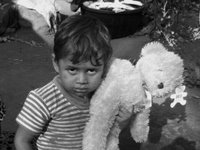 When we reached the orphanage Fidel had tears in his eyes. Calin took his own shirt and wiped Fidel’s eyes for him. Even though he is 22 years old the thing that he wants most in life is to feel like part of a family, but then so do the other 220 much forgotten people that live at Hermano Pedro. This morning we loaded up George’s truck with wheelchairs and then headed out to Rabinal. George and Chris took the truck while Saul, Bill, Benjamin, Carlos, Marcos, and Amma, followed in the Van. Ralph, his grandson Nick, Vail, her nephew Dodge, and myself took a different rout in my Land cruiser. (I hope that I put in all the names this time. In my last journal I forgot to mention the name of one of the men that was with us and his wife got worried that perhaps he had snuck off to Hawaii instead of coming here. For fear of embarrassment I will not mention his name. (Sorry about that Barb.) The rout that we went cut off about 2 hours of travel time but was not fit for much other than a 4 wheel drive. The group that rode with me got to see some of the real backcountry of Guatemala though. They were quite surprised to see some fairly good size town in what seemed to be in the middle of nowhere. A few of them even had paved roads and looked fairly modern but as soon as you drove through them you were back on what seemed like little more than a cow path. After a long bumpy ride we finally arrived in Rabinal. The group that was with me seemed a bit taken back by the motel that we were staying in and the confusion that took place before we were all given rooms but I explained that this is Guatemala and nothing here ever seems to go 100% smooth or exactly as planned. After finally getting the keys to 2 of our 4 rooms we decided to go and find something to eat. Perhaps by the time we returned the motel people would have things figured out and the other 3 people would be given rooms. I wondered though what would happen when our other 8 people showed up. The next adventure was in finding a restaurant. I did not want to take the group to where we will be eating tomorrow and Wednesday for fear that they would get sick of eggs and beans so I finally located a small café that I had remembered seeing on another visit. Our ordering experience was quite interesting. The girl that was taking our orders evidently did not want to make a mistake on what we were ordering. Each time one of ordered an item she would retreat to the kitchen to tell the cook what to make. About 5 minutes later she would return and take the next persons order and then disappear again for 5 to 10 minutes. At one point she improved her service a bit by allowing 2 people to tell her what they wanted to drink but then went back to doing it one at a time again. I guess the strain of having to remember 2 cokes was just a bit too much for her to handle. We had wondered what we were going to do until the others arrived over 2 hours later but this young lady had taken care of that concern for us. After the others arrived and got unpacked it was quickly decided upon that they would go for the beans and eggs café. Even though those of us who had arrived earlier had eaten most of us went along just so that we could visit. Val was the only one to stay at the motel. Her stomach was bothering her a bit. She thought that possibly it had something to do with something that she had eaten. Having arrived earlier than most of the others had its advantages. 3 of us got rooms with television sets. (If the electricity that was knocked out by the rains storm comes back on I may even see if mine works.) A couple of us even got toilet seats. (Now if only the water would come back on.) I even have one of the rooms that has an electric widow maker shower head. (Although for that to work we will have to have both electricity and water at the same time. I doubt that the chances of that happening are too good though. A few of those who have never been to a third world country before are going through a bit of culture shock but I think that once we get busy with the wheelchair distribution tomorrow and they all get involved they will soon forget about some of these small inconveniences that we are experiencing and realize how blessed we are. Especially when they start serving people who have never experienced the luxury of good health, enough food, electricity, or running water or even a roof over their heads. Sometimes it is so easy to forget how richly God has blessed us. I guess I will go out and catch a few raindrops so that I can wash my hands and face and then head off to bed. I just wish that I could remember which way the light switch has to be in order for the lights to be turned off. Oh well I guess I will know that, if and when the electricity comes back on. At 4 AM I woke up to the sound of running water and noticed that the dim light in my motel room was on. When I looked into the bathroom that consists of a showerhead that is in the ceiling just above a small sink I saw that the shower was on. Since I needed to use the bathroom and the only way to get to the toilet was to pass directly under the shower I figured that I just as well take advantage of the golden opportunity of taking a shower while I had both electricity and water. The water was lukewarm but this was one of those fancy widow maker showerheads that had a high low switch on it. In my greed for even hotter water I instinctively reached up to flip the switch to the high position. I was quickly reminded why these showerheads are called widow makers. Now I know how the cats in my neighborhood feel when they come in contact with the electric razor wire that surrounds the wall of my neighbors property. The sudden jolt of the electricity caused me to bump into the bathroom sink. Judging by the ease that the sink ripped away from the wall I have a feeling that I was not the first person that this had happened to. The drainpipe proved to be no problem to reconnect. I was thankful that the flexible hose running to the sink did not break. Five minutes later the sink was once again reattached to the wall and I was contently taking a lukewarm shower. I had intended on going back to bed after my shower but for some reason the shower had given me a new jolt of energy and I no longer felt sleepy. Since it had rained a good part of the night our wheelchair distribution was smaller than usual. Many of the people have to travel a long way from outlying arias and the rain had kept them from making it to the distribution. Perhaps it was a blessing though because several people from our group had been sick during the night. Funny thing though, those that got sick were mostly the people from Guatemala and not the group that had come in from the USA. In spite of not feeling all that great himself and looking exceptionally white, Chris gave a wonderful Gospel message to those that showed up to receive wheelchairs. 32 people ended up receiving wheelchairs and they and their families were able to hear and experience what the love of Jesus is all about. It was a great experience for our friends from the States and Canada as well. Nicolas who had come with his grandfather from Canada was especially touched when he and his grand father were able to fit a yon boy who had never owned a wheelchair before into a chair that fit him perfectly. The boy soon caught on and was moving the chair on his own. 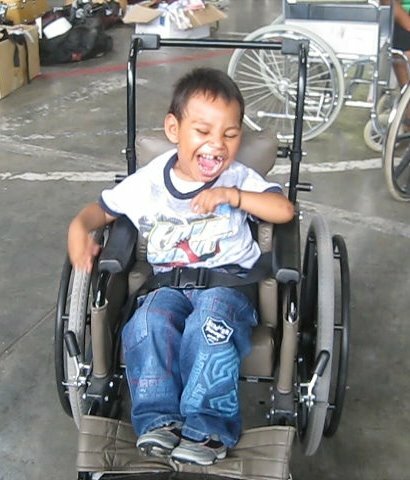 Nicolas had saved up $50 to sponsor this chair so it gave him great joy being able to personally see what a difference it had made in the life of this little boy and his family. The smile on the face of Nicolas’s grandfather revealed that he was quite happy that he had taken his grandson along to Guatemala. When we finished up at around 2 PM we were all tired and ready to get cleaned up. Guess what, NO ELECTRICITY! Guess what else, NO WATER! Oh well it had been a wonderful distribution and we were all happy. Besides that since we were all dirty and sweaty none of us was to worry that we would offend anyone else. Fortunately it was a hot day and since the water was off in the entire town we all smelled the same. Since the short cut that I had taken to get from Chemaltenango to Rabinal had saved us nearly 2 hours, it was decided on that the truck and the van would attempt to go back that way as well. The rains had not improved the road but in spite of some slippery sections and even more bumps they made it. However no time was saved for them by going that way and the ride was much bumpier. Having them go that way slowed up my trip as well because I did not want to get to far ahead of them in case they had problems along the way. When we finally got back into civilization and saw a Camperos in a fairly good size town that we passed through we stopped in and had a large meal. It was 4 PM by the time we got things unloaded and people brought back to their homes and hotels. This gave me 2 hours before the pizza feed that we decided to have at my house. I had promised both our visitors and the neighborhood kids that we would all get together before most of them left on Saturday morning. 6 large pizzas and 6 leaders of coke later everyone seemed satisfied. Tomorrow we have another busy day scheduled so I think that I will call it a day. Today we went to where Ronny and his family live. 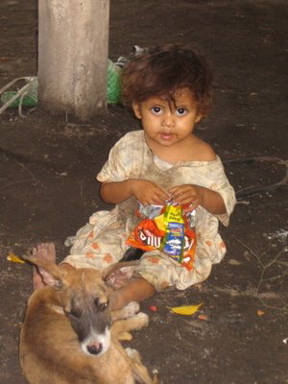 His parents had gathered 15 very poor families together for a food and toy distribution that we had. Chris’s van got stuck on the way in but several of the villagers helped push and he managed to get all the way in. The heavy rains stopped just long enough for the festivities. Val and Amma know some Christian action songs that they taught the kids. I now have photos of Val that I can blackmail her with for the rest of her life. It was a riot though especially considering that they were standing in ankle deep mud while trying to dance around. Chris shared with the people about the love of Christ. He tied it in with the story of Noah and the ark. Very appropriate considering that some of the homes had 4 inches of water flowing through them just before we arrived. About an hour after arriving the rain started coming down again so we had to quickly say good by, knowing that if we didn’t get the cars out they would possibly be monuments for the entire rainy season. As it was I had to tow Chris’s van with my Land Cruiser until we reached the road. Even after reaching the road we both did our share of spinning as it to had turned to mud. We returned home wet and muddy but it was a day that any of us would repeat in a hart beat. This morning we took the group from the USA to Hermano Pedro. Seven of the kids came along with us to lunch. One of the kids that we took was Carlos, the new boy that came in less than a week ago. I think that the outing was a bit much for him as he did not seem too happy and refused to eat anything. Shortly after we started eating he nodded off to sleep so we just let him sleep until it was time to go home. I think that he may be a bit autistic and perhaps a noisy place like Camperos is not what he enjoys. Next time that I take him out it will be with only one or 2 of us and I think that we will settle for the park. I was originally going to take my car today but since Donna was going to take the rest of the group shopping in the afternoon we decided to go down to Antigua in their van. On our way to lunch she went to the van to get a few umbrellas out of it. It was then that she noticed that it had been broken into and the radio and some other things were gone. At least they did not steal the entire van. I stuck around the orphanage while the others went shopping. I have learned to deal with a lot of uncomfortable situations while living in Guatemala but shopping is not one of them. Shortly before Donna and the crew came to pick me up one of the nuns came in with 2 new boys. They are brothers and appear to be very intelligent. The younger boy looks like he may be a candidate for a walker. The older one who is around 8 years old is nearly blind and does not walk at all but also seems extremely smart. Both of them speak only their Mayan dialect so we had to use Moises as an interpreter. Donna showed up before I had a chance to really get to know them so I will have to visit with them more before deciding just what they need in the way of walkers or wheelchairs. At 3:30 AM Chris took Bill, Val, and Dodge, to the airport. I did not get up until 8. I then met Ralph and Nick in town and we went to the wheelchair shop. Ralph and Nick were going to be spending the day there building some railings for an upper deck where we store wheelchairs. Donna’s dad, Gordon also met us there. Knowing my carpentry skills I quickly decided that they would be better off with out me. They must have known as well because they gave no opposition when I told them that I was leaving. I ended up partially taking the day off. I managed to get down to Hermano Pedro long enough to make some decisions on the 2 new kids that came in yesterday but then went out to lunch with Carlos. He and I made some plans for taking Ralph and Nick into a few villages next week. Shortly after lunch I returned home and took some of the kids to town. Fernando and I needed haircuts, Abner needed shoes, I needed a new chest of drawers and Cline’s aunt also needed some shoes. I guess this was my pay off for not going souvenir shopping yesterday. Anyway we got through it without to much pain on anything other than my pocketbook. Tonight the kids were herded out a bit early. My Internet server is going out of business at the end of the month so I need the evening to get myself set up with a new e-mail address. This one is actually being written on the right day. 4 of the kids, Ralph, Nick, and myself headed of to church in Antigua this morning, but only after stopping off for a scrumptious Burger King breakfast. After church we went shopping for a piñata and a cake for Nancy’s birthday party. You would almost think that with all of the shopping that I have been doing lately that I perhaps enjoy it. Well go ahead and think what you want but it isn’t true. Nancy’s parents served us nice meal and then everyone played some games and did the piñata. I am not sure just why but Calin was ban from coming to the party. He spent a good part of the time sitting about 100 feet up the alley crying. I felt sorry for him but the decision was not mine. This evening he was still having a rough time with things but cheered up a lot when Ralph, Nick, and I, took him along for supper. Val’s nephew, Dodge, presented my neighbor kids with a soccer ball last Friday. The kids have been playing with it ever since. I just closed down the soccer game for the night. For some mysterious reason my lawn once again resembles a war zone but the kids all went home smiling so I guess that is what is important. Fernando just came over for a shower and also announced that he is staying the night. I don’t know what the occasion is but I have had enough crying kids for one day so I guess that I will let him stay.